Whether you have a household full of kiddos or not, chances are that sooner or later your carpets are going to be the victim of a nasty spill. Instead of watching the spill soak in and ruin the carpet, keep these carpet cleaning tricks in your back pocket to start defending the attack right away. Gasp! Someone just spilled a heaping splash of red wine onto the carpet. Red wine spills require faster action than many other types of spills. Immediately blot the stain with a clean towel; do not scrub. Eventually the wine won’t blot as easily, so pour cold water onto the stain to continue blotting. Then, add a heaping spoonful of salt atop the stain and let it sit for many hours. The salt draws the moisture from the carpet, turning the salt a light pink color. After about eight hours, scoop the remaining salt off the stain and vacuum the spot. You’ll be shocked at the ease of removing the red wine. This trick can work for any liquid spill that you find immediately. This trick will work for a stain of any type that has been sitting for any amount of time, though it does take a bit of precision. Grab your bottle of Windex (the blue kind is not preferred, but it’ll get the job done), your iron, and a towel. Spray the stain with windex, cover it with a towel and press the iron over the stain location. Be mindful to keep the heat at a moderate temperature to prevent burning the towel. 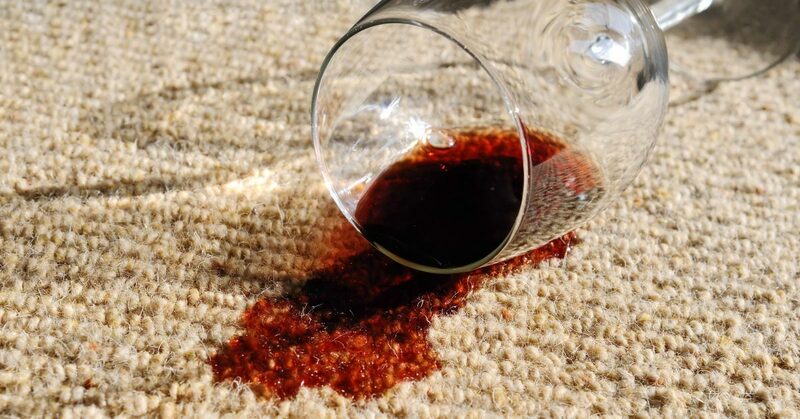 We hope that these stain removal tricks help improve the look of your carpet and save you a bit of stress. 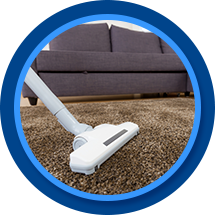 As always, you can count on Super Klean for professional carpet cleaning in Casper.